The Seibu Department Store on the morning of February 24, 2017 – four days before it is scheduled to close down at the end of the month . 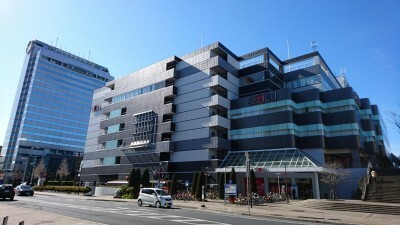 No one is sure yet in what way the building, located just next to the Tsukuba Express (TX) Terminal, will be used in the future. 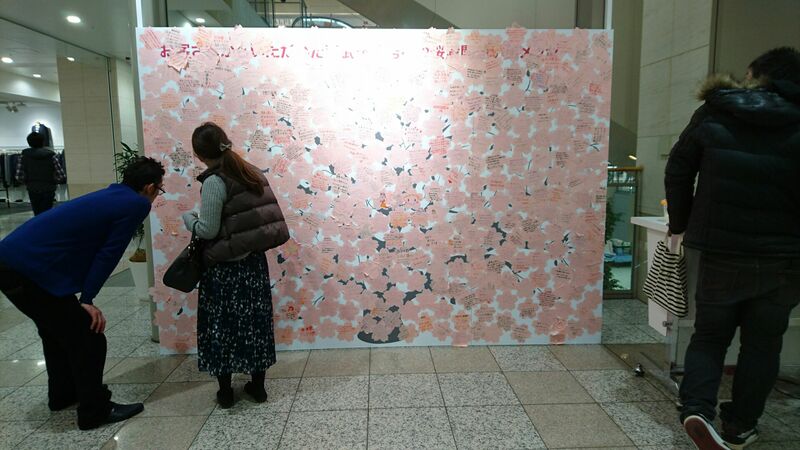 Thirty-two years ago, when the Tsukuba branch of the Seibu Department store first opened it`s doors, the surrounding area, what is now Tsukuba City, consisted mostly of rustic hamlets, separated by pine forests and vegetable fields (with rice fields along the rivers). 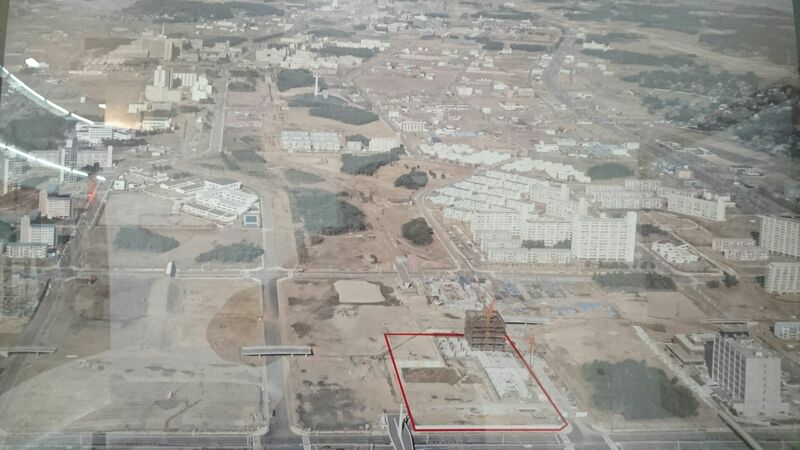 New-comers, those who had come from other parts of Japan (and the world) to work in the newly established “science-city”, lived in one of the handful of official government housing developments (reminiscent of those in the Soviet science-city of Akadem Gorodok). There were few shops – and fewer restaurants. 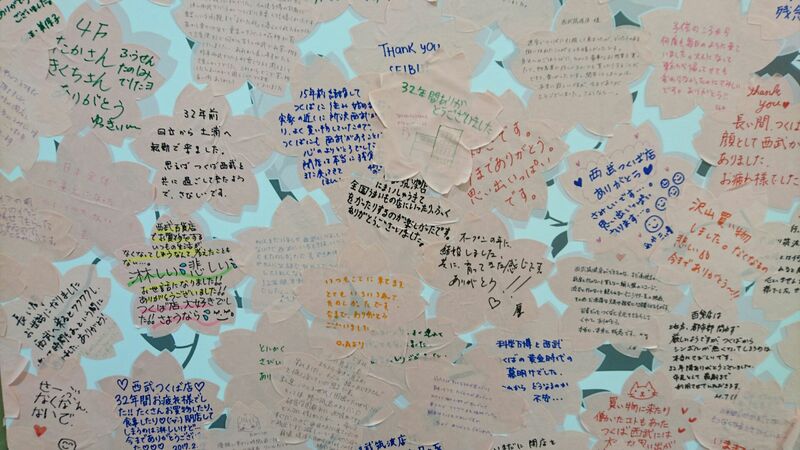 Anyone tranfered to work here was given a TE-ATEH (手当), a special monthly stipend for having to endure the hardship living out here in the boondocks. For those of us who lived out here Seibu was an outpost of modernity and Japan`s unique form of conspicuous consumerism – an island of elegance, sophistication, abundance… and one of the only places that Tsukubans could get their hands on imported foods, and other goods. And the tasting samples! For students like me…it was a feast! We`d go through the first floor food department eating samples till we were full. Salespeople, five or six behind each counter (many more than necessary) would call out to us with enthusiasm, creating a festive atmosphere everyday of the year….. 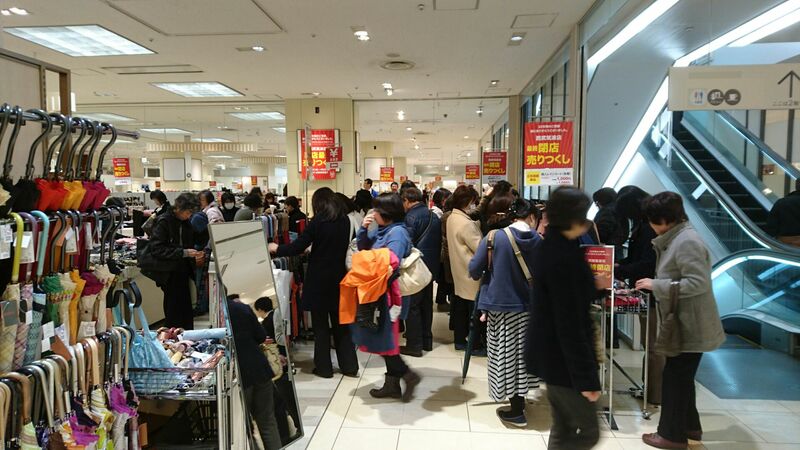 The crowds drawn by the “closing sale” being held this week at Tsukuba`s Seibu Department Store bring back memories of the shop`s glory days – except back then people would avoid buying cheaper things… anything cheaper was looked upon with suspicion! How things changed over the years! 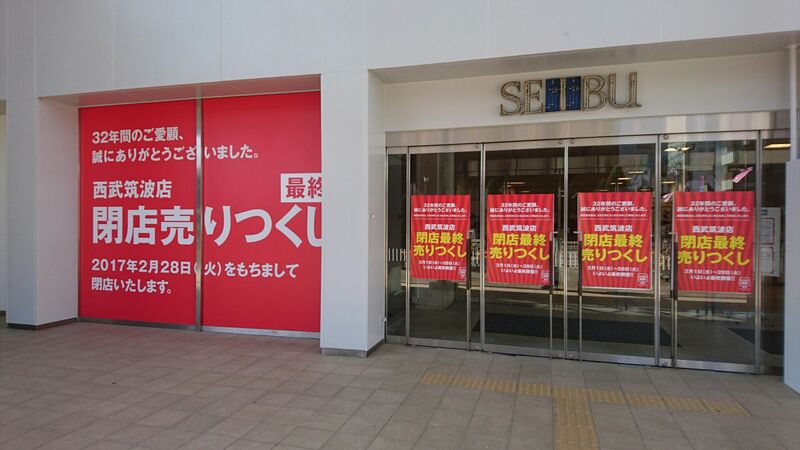 The prolonged economic doldrums, the construction of four major shopping centers all within a 15 minute drive, the completion of the TX Line which can take sophisticated shoppers from Tsukuba to Ginza in about an hour, internet shopping… have all led to the Sebu Tsukuba`s slow demise. Instead of two dozen people enthusiatically greeting you at the door at opening time we ended up with one aged security guard in an ill-fitting uniform. The ladies and men`s-wear departments are sad and lonely for their lack of customers – even browsers…. The last week of February, though, has brought back memories. “Closing-sales” have brought back the throngs. You have four days left left to walk through the venerable department store… to reminisce… contemplate the fleeting nature of all things… and maybe pick up a bargain…. Japan`s Hina Dolls- IN ALL THEIR VARIETY- are Out of the Closet!